Ever wonder what being an author is like? I know I did. Still do, oddly enough. I can’t wrap my head around how someone can churn out an entire book or more per year, but I’m speaking from the general experience of a first-time, self-published writer with the persistent affliction known as “writer’s block”. If that’s what the long and short of being an author is, I must admit it’s rather unpleasant. All difficulties aside, seeing an entire world of your own making come to life on paper is a unique delight. Something about fleshing out grueling details and intricate little plot points is cathartic, to say the least. Moving on to the next sets, chapters, books, and what have you, on the other hand, balances everything out with a healthy dose of blood-boiling stress. Who needs to say what? Where are they? What does that one bush by that one thing over there look like, and who the hell gives a flying f*ck? Well, I do. And hopefully such descriptions aren’t so superficial that they’re entirely irrelevant. Those bushes are important, dammit. You never know who or what could be hiding behind them! Book 2 of Amissio Libra is proving to be just as much, if not doubly-so, a hassle as Book 1. But the strange thing is, if I were writing the entire story from Books 8 through 15, I’d have finished them by now. Ending the story has been my primary focus for years now, but the beginning has been a point of debate. 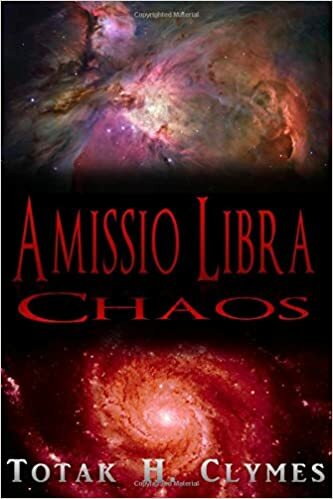 Amissio Libra’s mid-point and ending has been considered, recorded and reconsidered thousands of times over, while the beginning has required a lot of fresh invention and rehashing over the last two years; such is the way of things when you have a finish line without a true start. To be perfectly honest, I can’t wait to push past all of the mess leading up to the part of the story my mind has been mulling over for a decade. Totak and I will periodically share posts from his website to mine and vice versa. We thank you all in advance for your time and patience as we work towards our current novel projects!